We are a leading Manufacturer of internal circlip, automobile circlips, steel internal circlips, steel industrial circlips, external circlips and internal circlips from Ahmedabad, India. With the aid of our efficient engineers, we are able to manufacture a comprehensive range of Internal Circlip Heavy Series. We design and manufacture these Internal Circlip Heavy Series in accordance with the prevailing quality standards. 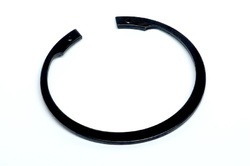 Used as a fastener, these Internal Circlip Heavy Series are the semi-flexible metal ring that comes with open ends. Our range of Automobile Circlips is used for restraining the axial movement of components or shafts. These are also used particularly where space restrictions are applicable and also in small mechanisms. We are known in the market for manufacturing a wide range of Steel Internal Circlips. Our range is manufactured with the use of premium grade steel springs and latest machines. Steel Internal Circlips available in varied dimensions, sizes, and thicknesses, these Steel Internal Circlips are suitable to be used for all kinds of engineering applications. The range of Steel Industrial Circlips offered by us is widely used in industrial machines. 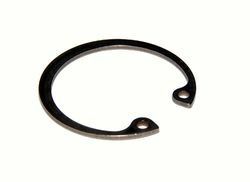 These Steel Industrial Circlips are made from en421 spring steel material as per is 3075, that is duly hardened & tempered with the phosphate finish. 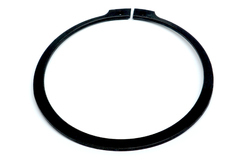 We provide our clients with an extensive range of External Circlips that are available in varied specifications. These External Circlips are manufactured with the use of quality tested brass and steel sourced from reliable market vendors. 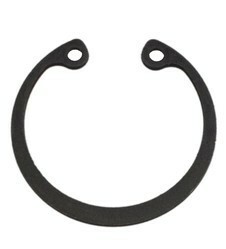 Furthermore, the use of these External Circlips provides a firm load bearing shoulder on a shaft. 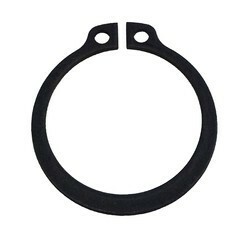 We are the Manufacturer of Internal Circlips. 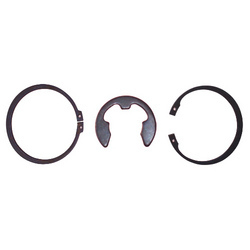 Looking for Internal and External Circlips ?